The shipments were on time, sales were thoughtful, and they had cooperated for many years and established a good cooperative relationship. The quality is in line with the sample requirements. The company's employees are very responsible for their own affairs. How nice a training in China. NOTICE:All the products on our website indicate the ranges we can manufacture and our production capability. 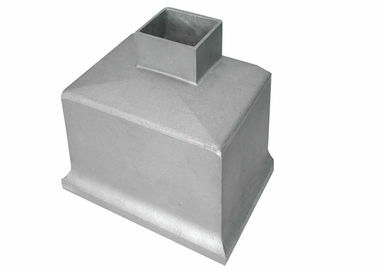 We offer cast aluminum products according to customer’s drawings or samples. Please feel free to contact us if you have any questions or suggestions about our business. Finished Polishing, sand blasting, heat treatment, painting, powder coating, anodizing, electroplating, Chrome plating, mirror polishing. China Good Quality Cast Aluminum Products Supplier. Copyright © 2018 - 2019 cast-aluminumproducts.com. All Rights Reserved.